Should I Use Purple for Good Feng Shui? In your feng shui color applications, color purple should be used with moderation. It is a very strong, high vibration color, the color of connection to the spiritual realms. In terms of energy centers of the human body, the purple color is connected to the higher energy center – the 7th chakra of cosmic connection. You most probably have seen many charts emphasizing the powerful energy of purple color as the ultimate color of cosmic access, insight, and wisdom. Feng shui-wise, the purple color is not recommended in big proportions for a harmonious, healthy home. This means that a focal point wall color in purple, a big purple rug or several big pieces of furniture in this color are not ideal feng shui for a home. 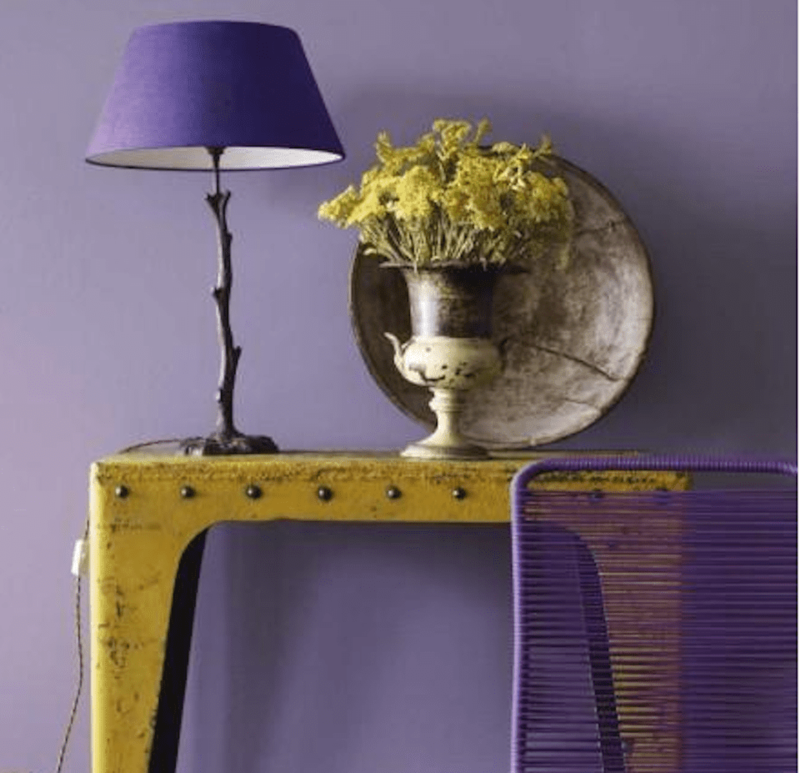 Now, let's first look as to why is purple color considered to create challenging feng shui in a home. Next, if you really love the color purple and would love to decorate your home with it, we will explore tips to do just that. Many feng shui masters believe that color purple on the wall (or an overwhelming amount of it in any feng shui decor applications) may trigger blood disease. True or not, the color purple is a very high vibration color and the feng shui advice is to use it sparingly whenever possible. What can you do, though, if you love this color and want to have it in your home? The first step is to be sure you use this color in the right feng shui bagua area. The right feng shui bagua area means a bagua area that thrives on the energy of the fire feng shui element, because color purple is the highest expression of this element. To make it easier for you, here are the feng shui bagua areas that love the fire element: South, Southwest, Center, and Northeast (as per classical feng shui bagua area). If you are working with the Western/BTB bagua area, then the areas that love the fire element are the Fame and Reputation area, the Love and Marriage area, the Heart of the Home/Yin Yang Point and the Spiritual Growth and Self-Cultivation area. This means that a big purple color rug, a sumptuous purple couch or even a feature wall in purple will be OK in the above-mentioned areas. However, it is best to go for much lighter color tones of purple color, such as lavender, for example. By the same token, there are also specific bagua areas in your home that can be weakened by the strong fire feng shui element of the color purple. These areas are the East, Southeast, Northwest, West, and North. With the Western/BTB bagua these areas are the Health and Family, Money and Wealth, Helpful People and Travel, Creativity and Children and the Career/Path in Life area. So, do your best to limit a strong presence of color purple in these areas. An excellent way to bring a balanced presentation of the purple color in your space is with the amethyst crystal, which is one of the most powerful feng shui crystals.